OK, I’ll admit it. I went to the 2nd day of the anniversary Olympic games with some ulterior motives- staying in London would give me the chance to finally see the David Bowie Is exhibition at the V&A (which was indeed impressive, just about worth the two hours we had to queue for tickets!). But, despite being confused about who I was supposed to be supporting for most of the day, the event itself was brilliant. The stadium felt surprisingly small; I put that down to the fact that Wembley is bigger. This was the first time I’d been there as, like most Britons, it seemed like it was gonna take too much effort and money to go and watch last year (which, considering we were paying for a large part of it through taxes, seemed pretty unfair). My mum is a big runner though, so we did manage to go down to watch the men’s marathon through the streets of London (for freeeee!! ), but I had yet to set foot in the stadium. The day itself was a sort of self-congratulatory repeat of the UK’s most memorable day of the Olympics, ‘Super Saturday’, in which Jessica Ennis, Greg Rutherford and Mo Farah all won gold in the space of less than an hour. 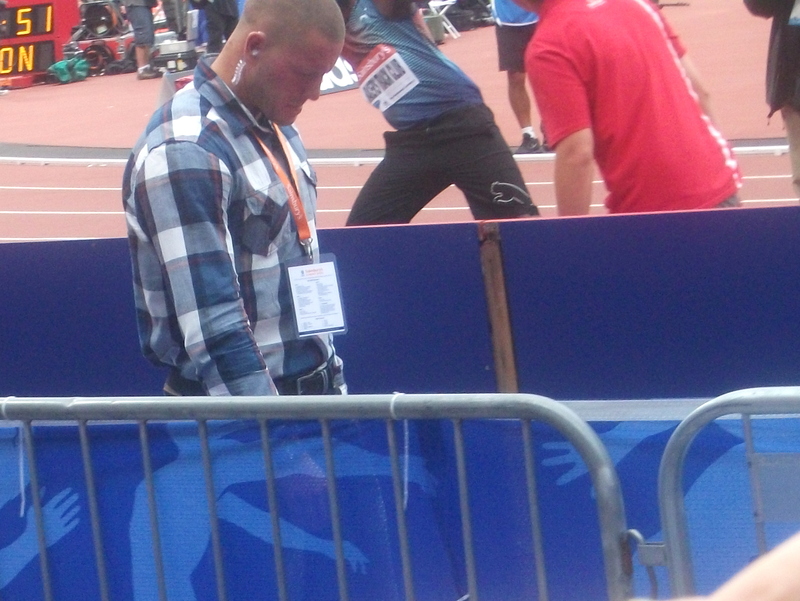 They competed again yesterday, barring Rutherford who was away with injury- instead we cheered on curly-haired Chris Tomlinson in the long jump, who fell behind to 5th after a promising start. 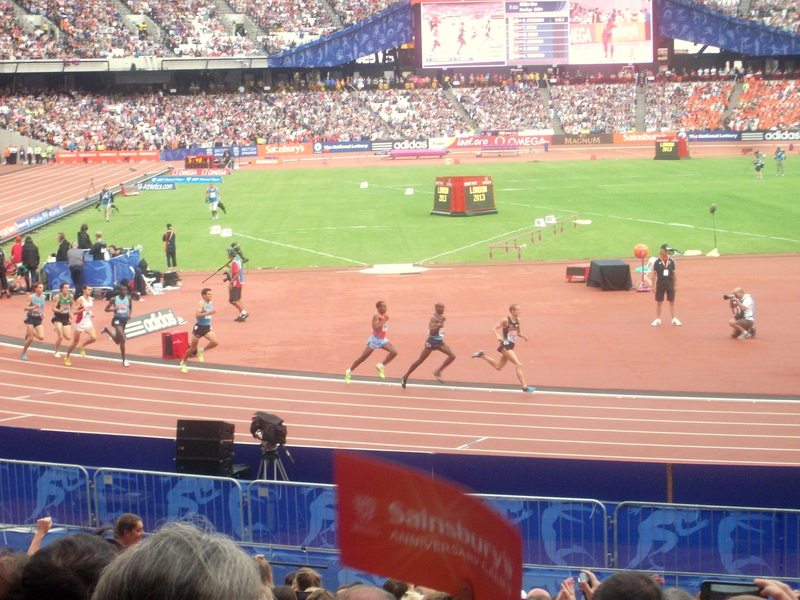 Unfortunately, recovering from an Achilles injury, Ennis (now Ennis-Hill) didn’t fare too well either and finished 4th in the 100m hurdles and 8th in the long-jump (where fellow Briton Katarina Johnson-Thompson won). Later on the atmosphere began to pick up as the USA’s Allyson Felix beat out the competition in the women’s 200m, Britain’s Christine Ohurougo stormed to a deserved victory in the 400m and a new French pole-vaulting record was set. 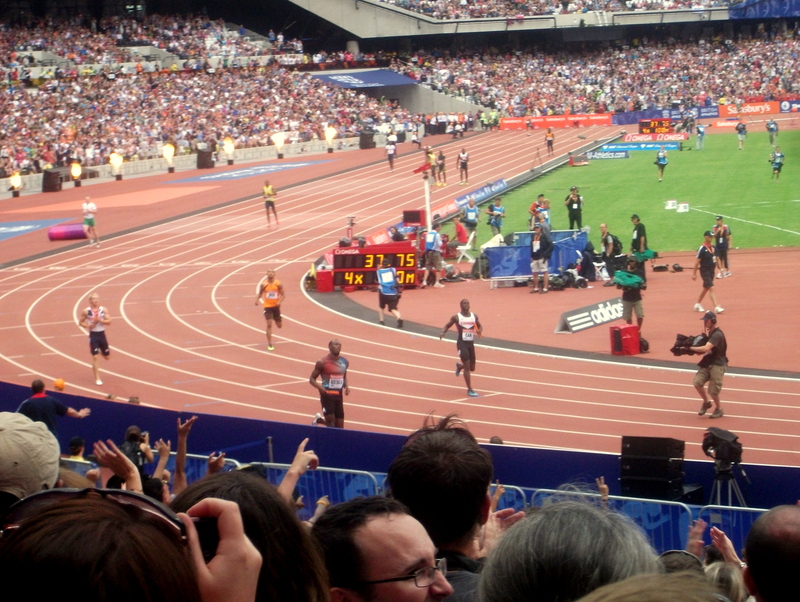 Next the crowd went wild for Mo Farah. He didn’t just win, he did it in style. Making it look like a breeze, he achieved a new personal best just two seconds under the British record. It goes without saying that the guy’s a phenomenal runner, flying ahead of the competition in the last lap, sending the crowd into a frenzy and drowning out the commentary. I think he may also be the smiliest man alive (there should be a medal for that too). And then there’s Bolt. Of course. I imagine Bolt spends his spare time trawling Pinterest for DIYs he can make with spare medals. Just trust me when I say he’s doing the thing. So yeah. Good day. That’s enough sport for the rest of my blogging days, I think. Back to pies! Christine Ohuruogo celebrates her win.